Space fans, rejoice: today, just about every image captured by Apollo astronauts on lunar missions is now on the Project Apollo Archive Flickr account. There are some 8,400 photographs in all at a resolution of 1800 dpi, and they're sorted by the roll of film they were on. The Project Apollo Archive is also on Facebook. They'll be showcasing new renderings of some of the best imagery, and other rare images including Apollo 11 training photos. 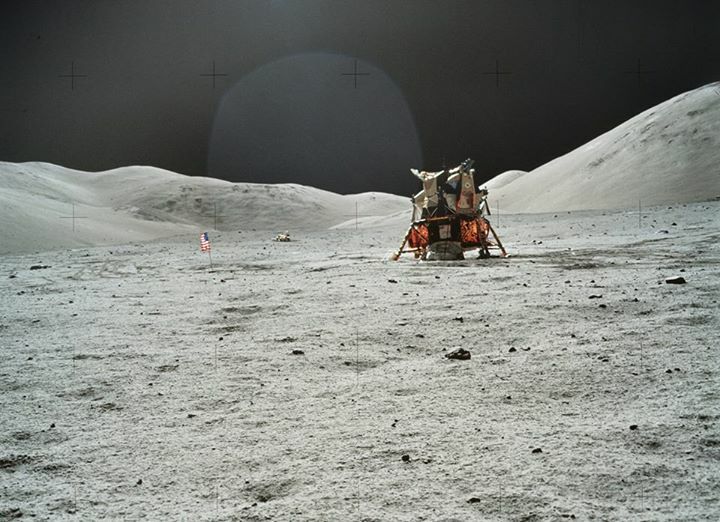 The Apollo astronauts were sent to the moon with Hasselblad cameras, and the resulting prints have been painstakingly restored for contemporary high-resolution screens for this wonderful archival project.